Want to gain an internationally recognised award that can lead directly to employment or be used to progress to Institutes of Technology/University? Employment in the tourism sector in Ireland is expected to grow from the current figure of 220,000 people to over 250,000 by 2025. It is one of the largest employers in Ireland with fabulous opportunities available to Tourism graduates. Past students have found quality employment in a variety of careers such as in Business, Customer Service & Logistics, Administration, Cabin Crew, Airport Screening, Travel Agency, Marketing, Tour Guiding, Front Office Reception and Hotels. 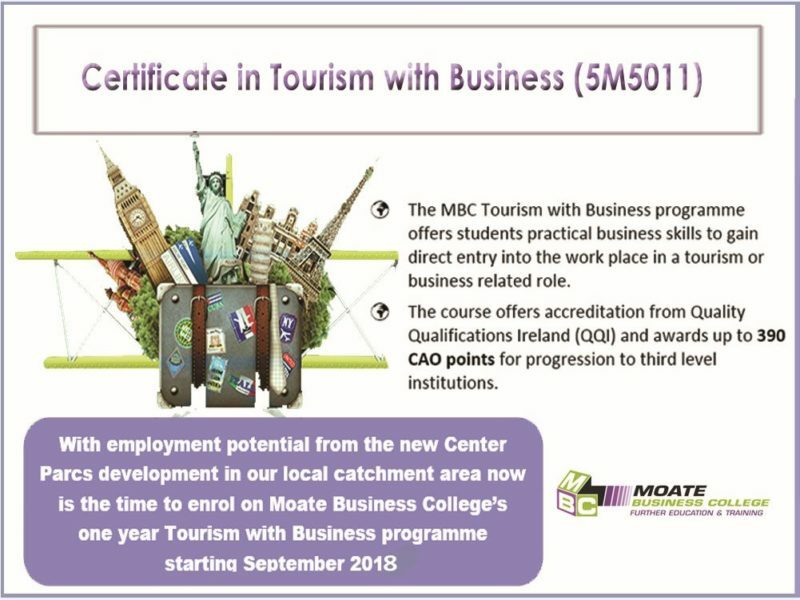 Progression opportunities are numerous and include degree options in Business, Tourism, Marketing, Event Management, Hotel Management and Arts to name but a few. See Cao.ie for further information.